Acro: Students gain strength and flexibility while training in tumbling, flexibility stunts, hand balancing and partner balancing. Acting: Students will participate in lots of improv activities and perform scenes as they learn character development and acting technique. This class will perform in the Rhythm & Rhyme Showcase, not the recital. Adult Classes: Our adult classes are taught at a beginning to intermediate level. They are low-pressure, social, and fun. We currently offer adult classes in jazz, contemporary, tap, hip hop, ballet stretch, and cardio dance fitness. Ballet: A classic form of dance that is both elegant and controlled. Dancers will find that taking ballet will improve their skills in all of the other dance forms. It is the foundation for good technique. Ballet Strengthener: This class is designed to help girls really strengthen their bodies to help in the ballet and pointe classes. We will especially focus on feet and ankle exercises and slowing down to focus on correct technique in basic ballet movement. Breakdancing: an energetic and acrobatic style of street dancing. This class is a great way to build strength and balance. Broadway: Become a triple threat in Broadway Class. Students will learn solos, duos, trios, and some ensemble numbers from classic and modern Broadway musicals. We read music, work on stage presence, and learn upbeat, crowd-pleasing numbers. This class includes, singing, simple choreography and staging, as well as basic scene work. This class will perform in the Rhythm & Rhyme Showcase, not the recital. Character: This is the perfect kind of dance for those students who are interested in musical theater. It focuses on the performance skills as well as acting while dancing. Most combinations will stem from a jazz style. It is a fun and silly and really improves stage presence. We do not sing in class unless we just can’t help it! Contemporary: This beautiful genre of dance combines both jazz and ballet with the primary motive being self-expression and dancing with emotion. Dancing contemporary is a great way to relieve stress and get out inner frustration while creating something that others can enjoy watching. Once dancers get into contemporary, they LOVE it! Hip Hop: This style became popular in the 90's and has transformed into one of the most popular styles in the dance world today. It is great for building students confidence for dancing at school dances and other community events. Great for kids who have never danced before. Jazz: This style is a fun and fast style of dance that ranges from the works on Bob Fosse to current music videos. We use lots of pop music from today and yesteryear. This is a great style for beginners through advanced students and is our most popular style at Rhythms. Modern: This fun and energetic class will concentrate on the texture, power and emotion each dancer brings to the movement. This class will apply technique from Contemporary and Ballet to create complex center and across the floor combinations utilizing floor work and inversions, while maintaining an openness to the dancer’s individual interpretation of movement. Improvisation and partnering will also be studied. Pre-Pointe: Students will increase their ankle and foot strength and learn about pointe technique. This class does not wear pointe shoes, but works toward moving into Pointe when the dancer is physically ready and has the necessary knowledge and technique. This class does not perform in the recital. Pointe: Pointe is a continuation of ballet in which the dancers use point shoes and dance on the tops of their toes. Pointe is reserved for our most advanced dancers only and is by teacher invitation only. If you are interested in Pointe, please inquire about private lessons. S.L.A.Y. (Strong Loving Accepting Youth): This is a free club that helps support young people in developing a confident, body positive outlook on life. We meet each week to discuss issues surrounding a healthy attitude towards ourselves, especially concerning our bodies. Free hot beverages served! Tap: In this style we learn the moves of Fred Astaire, Gene Kelly, and Savion Glover. This style improves a dancer's sense of rhythm and counting. Come and impress your friends with very noisy feet! Voice: Beginning vocal ensemble with introduction to traditional youth literature as well as music theater works. Will learn awareness of breath, ear training, and vocalization. 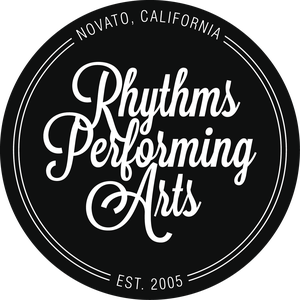 This class will perform in the Rhythm & Rhyme Showcase, not the recital. Yoga: This class increases student's flexibility and give them a quiet, thoughtful time during their hectic day. We will incorporate dance stretching, yoga, and even some basic meditation. This is a non-performing class.